BigBizkit: You are most well known for your modding work such as your character creation overhauls RaceMenu and LooksMenu, as well as for your work on the script extenders for both Fallout 4 and Skyrim. However, to start this off, can you tell us a bit about yourself? expired6978: I'm a gamer, modder, Computer Engineer, and I work as a Software Engineer at a company I won't name for anonymity's sake. I would say I'm a tinkerer, I like to take things apart, figure out how they work, and then make them do something they didn't. I think most people would call this modding. Before we get into your most famous mods, do you recall how you initially got started with modding? What were some of the earliest modding related experiences you can remember to this day? Depends how far back we want to go, modding in essence I started 14 years ago with an old game called Tibia. This was back when private servers were just starting to become a thing. This also happened to be where I started programming in general (C++). I was hooked on the game at the time and the appeal of doing whatever I wanted in a private server drove me to download the source code and see where I could go with it. I started off with making minor edits, seeing what I could change and how I could change it, modifying database permissions, modifying scripts (Lua) and generally building on that. After about a year I was contributing to the community with various tools as well as implementing missing features in the private server and whatever features I wanted to see that weren't in the vanilla game. Going forward to games here, I started the modding journey with Skyrim. I believe I started off not particularly impressed with the selection of character customization and the capabilities of the followers. My first mod was actually just tweaking follower behaviors, the second was Extended Slider Colors. For the slider colors the game only really exposed adding new colors through Forms, so I created a tool that could generate plugin records for thousands of color possibilities. This was really as far as I could go with what their systems offered, eventually I turned to the Script Extenders. 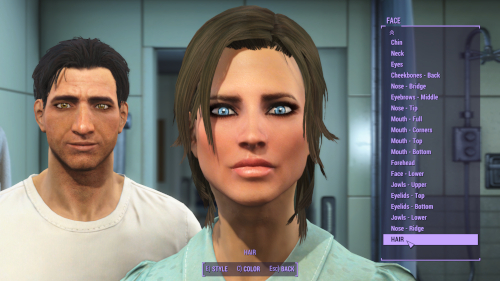 RaceMenu a﻿nd LooksMenu are some of the most essential mods for Skyrim/Fallout, especially for anyone who loves to customise their character. What was it that inspired you to create these character creation overhauls and - seeing how it must have been a boatload of work - what kept you motivated during the entire time you have been developing them? Character creation is always something I spend a lot of time on myself, I've never been any good at it but I prefer that the options are there in the first place. Motivation is not something I have a lot of, this turned out to be some strange exception where I felt like I was the only one who could do it and take it to the same level that I knew I could, this was a multi-year project that I did over the course of my whole degree. It usually starts with a question that sometimes the community gives me, and I just arbitrarily decide that it's something I'd like to see if I could do. The whole sculpting feature of RaceMenu was actually something ECE came out with first, but I felt I could improve on it. In early August you released the long-awaited Skyrim Special Edition version of RaceMenu. 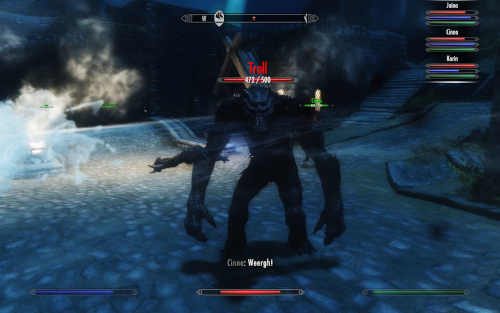 Can you tell us a bit about the hurdles you faced with adapting the mod to Skyrim SE? Do you think RaceMenu SE can become ‘feature complete’ (compared to the original version) down the line? The biggest hurdle was actually not done by myself. This would have been SKSE64, the plugin included with RaceMenu relies very heavily on data and definitions that is/are included in SKSE. There is very little engine definitions inside RaceMenu, it's mostly custom code built on-top of the engine definitions. Once SKSE64 was mostly ported I just had to rewrite some of the custom hooks and fix any definitions from SKSE that were not completely ported. This involved basically comparing two different executables on different architectures, but were effectively the same functions, then finding an adequate equivalent hook in x64. The secondary hurdles were mostly around the mesh format changing, they are a hybrid of Skyrim and early Fallout 4 meshes. The next hurdles will be Sculpting, I have to rewrite quite a lot of code for DirectX 11 from DirectX 9 as the whole thing was custom code that I wrote to essentially draw the wireframe and interact with the mesh. Another big part of your modding portfolio is your work on the script extenders for both Fallout 4 and Skyrim. For those unaware, can you describe what the script extenders do and how modding benefits from them? The Script Extenders are essentially modifications that alter the game's code at runtime. This means we can change how the game works at a level far beyond what plain scripting can do. They are historically called Script Extenders because they actually change the code in such a way that we can add new native scripting functions, adding functionality directly to the game's scripting language. Recently they've become so much more than that and often provide a framework for other modders to make their own plugins that also alter different aspects of the game. How did you become a part of the team initially? Can you tell us a bit about how the team works when it comes to developing the script extenders? I became part of the team because I was submitting so much to the project in the Bethesda forums and it was more convenient to just join the team and submit directly to the private source control. I also had a lot more free time on my hands than the other members did at the time. As far as development goes it's pretty loose, we release as soon as we can when new versions come out. New games are a little different, I think going forward we have a good base code to start with, from there it will be just decoding the relevant things to actually expose functionality. Many of your mods enable other creations. In that regard, I understand that you helped Verteiron, author of Familiar Faces, with their mod. Can you tell us a bit more about that? Yeah, I can't recall the circumstances but I believe it started with "How could we get all the appearance functionality of RaceMenu onto an NPC". 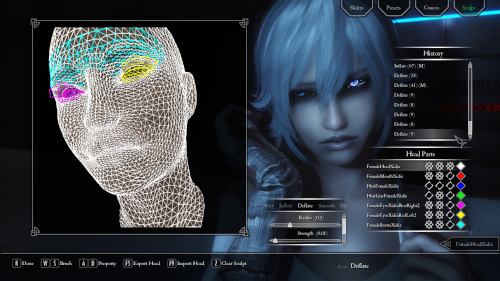 Which sparked looking at how the game manages the meshes and textures for NPCs, which eventually led to some custom functions in RaceMenu that effectively allow you to apply a RaceMenu preset onto an NPC. This is how Familiar Faces manages the appearance aspects of seeing your other players. It exports your player as a preset with the generated tint mask texture, then when you load that preset onto an NPC RaceMenu will internally override the load external head functionality of the game for that NPC to be disabled, forcing the NPC to be generated, but under the new parameters. Outside of modding or programming, what are some things you like to do for fun? Gaming, hiking, swimming, snowboarding, sometimes drinking. Occasionally I get together with some friends to play boardgames. I don't have enough friends with gaming rigs to do LAN parties, I've only done it a few times in the last couple years. What are some of the games you grew up with and are you playing any games currently? I grew up with a lot of MMOs to name a few: Runescape, Tibia, Maplestory, Aion, World of Warcraft. Singleplayer games I don't stay invested after beating them unless they're moddable. If it's a AAA title and is available on PC I've probably played it, may or may not have cheated in it. I haven't owned a console in years but Playstation keeps coming out with stunning exclusives so I may take the plunge next generation. I got back into World of Warcraft recently for the expansion, still play GTA5 every so often just to see what’s new. 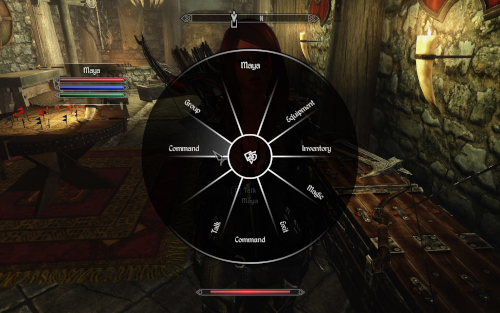 Between your character creation overhauls, follower frameworks, and contributions to the various script extenders your modding work is a staple in many, many load orders. How does it make you feel that literal millions of users are enjoying your creations? It's humbling, but it's also something you can brag about when you're looking for jobs. It may not be sold, but it is still proof that I built a product that people want. I learned from a reddit AMA you did a few years ago that you are mostly self-taught when it comes to programming. What advice can you give people who would like to develop coding skills themselves? Start early, work on something you are interested in. Don't force yourself to learn, or learn for the sake of learning. 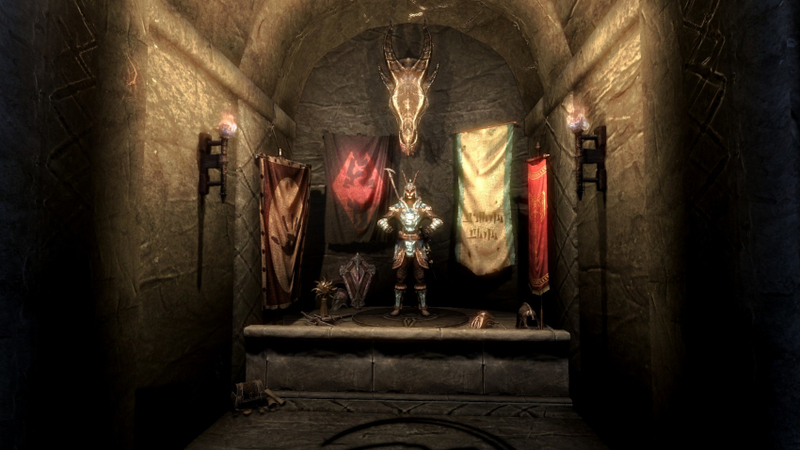 Is there anything else you would like to tell the Nexus Mods community, be it about yourself, modding in general, or your plans for the future? I'd like to thank the many people I have met through modding that have helped me improve my own skills and help me develop the features that exist in my mods either through ideas and/or direct code support. I may have less time do work on mods as time goes by but I will always be taking things apart and figuring out how things work. I can see myself still modding games in the future. What the next ones will be who knows, maybe the next Elder Scrolls, maybe Cyberpunk 2077. Thank you very much to expired6978 for answering our questions. If there's an author or mod project you'd like to know more about, send your suggestions to BigBizkit or Pickysaurus. he said "start early" is it too late to start late? Yes. Without him my character would look like Moira. Race menu is one of my most favorite mods of all time...even though it is racist. It's guys like this that make me love the modding community. Indeed. expired6978 is a true hero! I think the title could be better because this modder has done very relevant contributions to the modding community. His racemenu mod (though to date I have never used it, maybe because I always choose an imperial male as main character and never look at my face in a mirror) is ranked Top9 in all times most endorsed mods which is a big exploit. Maybe he didn't have much time for modding in the latest years but nevertheless he will never be forgotten for his important contributions. Thank you for made this an awesome community ! Thanks for all the awesome mods!